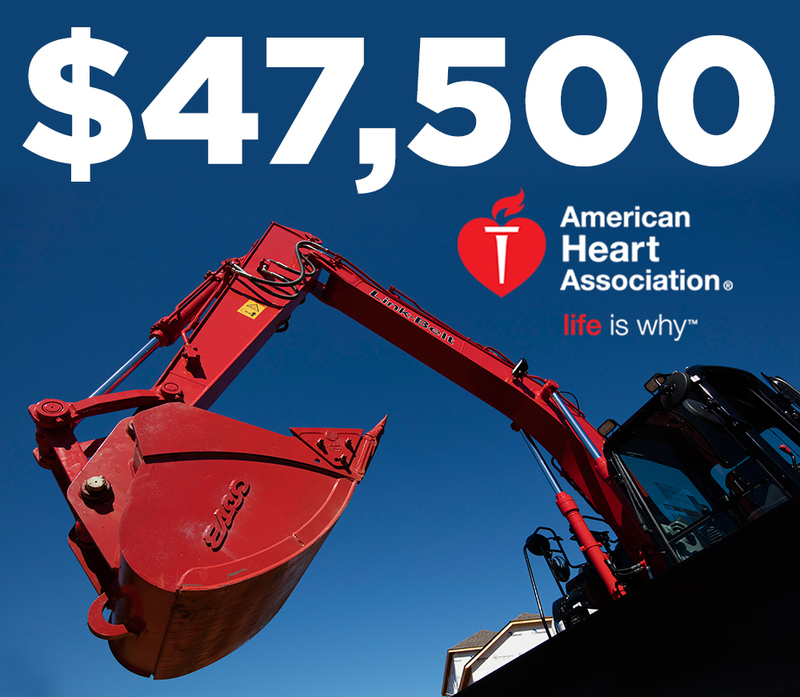 LBX Company LLC, Lexington, Kentucky has raised $47,500 in support of the American Heart Association’s (AHA) annual Life is Why We Give™ campaign. LBX made a commitment to donate $500 for every Link-Belt excavator, forestry machine or material handler retailed in February in North America. This is the second year that LBX has participated as a national supporter of the campaign. “LBX is proud to continue our involvement with the American Heart Association. We thank our dealers and employees for a great month of results that couldn’t have happened without their support,” said Eric Sauvage, President & CEO, LBX Company LLC. LBX is also a supporter of the Central Kentucky Heart Walk, which will take place at Keeneland Race Course in Lexington, KY on May 12, 2018. A check will be presented to the Lexington chapter of the AHA on May 12 at the Central Kentucky Heart Walk.